ATHENS PRINTMAKING ART CENTER – K%X Pandolfini & Siaterli is a unique professional printmaking studio (operating since 1977) in the city of Athens (GR) specializing in engraving and printmaking methods, educational workshops, seminars, exhibitions and life long learning activities for artists and art amateurs. Its printmaking contemporary art collection includes approximately 2000 important artworks from the Greek history of contemporary printmaking Art. The collection has been created through decades of close cooperation with the most important artists and galleries of Greece and other countries. ETCH INK, the gallery space is located on Lycabettus hill, in the center of Athens near the metro station “Ambelokipoi”. 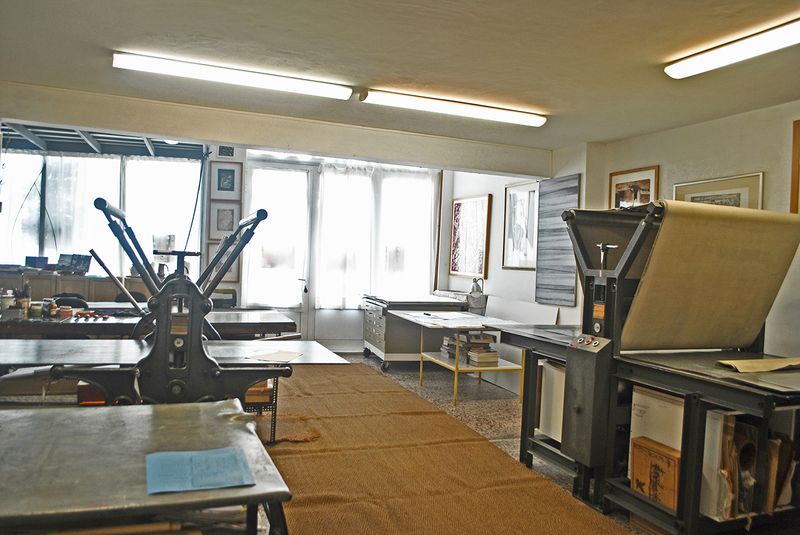 The work studio facilities are located in Polygono, neighbourhood. Deadline for Submission:21st of April 2019. Successful applicants will be notified personally by email. A list of participants will be posted on the website on 24th April 2019. The fee includes: workshop, individual mentoring, accommodation, Greek lunch, selected evening activities, certificate of attendance, production, all print materials***, press release, opening & Exhibition at “ETCH INK” gallery space. First installment of the tuition fee is due to application submission, second installment before 10th of June 2019. 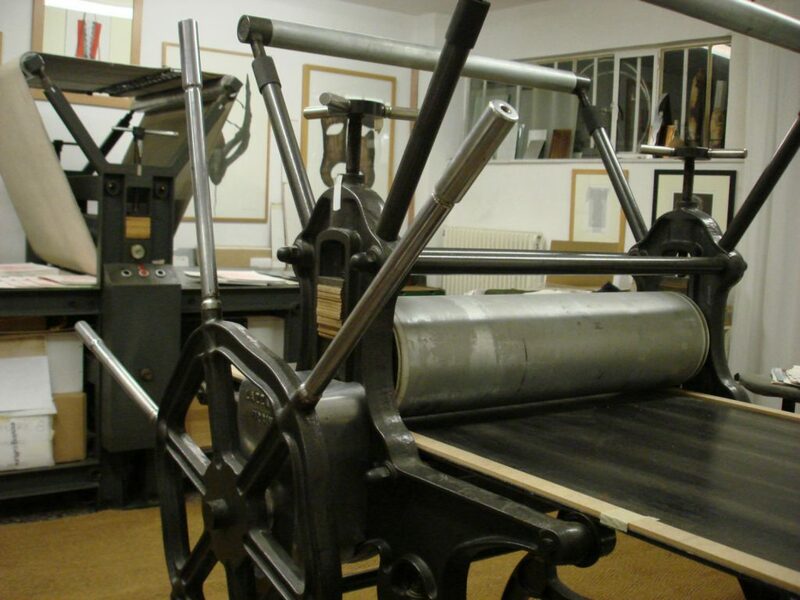 Host: ATHENS PRINTMAKING ART CENTER – PANDOLFINI & SIATERLI C.N.P.P. 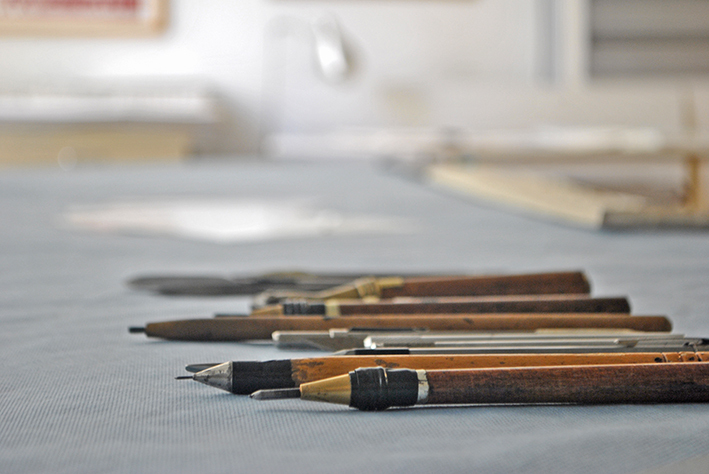 The call is open to artists and art students willing to develop their ideas and professional skills in print. Art lovers/amateurs interested in printmaking are also welcome. The workshop culminates at a group exhibition show of all printed artworks at “ETCH INK” Gallery space, in Athens. Art professional mentors and workshop leaders: Pino Pandolfini, Dimitra Siaterli and Valentini Mavrodoglou (assistant). Visit exhibitions, galleries and significant museum venues and monuments in Athens. Group accommodation in apartments (AirBNB) close to the centre of Athens, near the Athens Printmaking Center location. 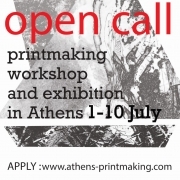 Insurance for the participants of the Summer ETCH INK workshop and group show in Athens (GR) 2019 is in the responsibility of each participant. The “Athens Printmaking Center” takes all measures for the smooth and safe running of the program, supports and ensures the daily operation of the workshop but does not take any responsibility for any accidents which might occur. ***** The oxidation of the etching plates is done with nitric acid. σας εύχεται Καλή Χρονιά και σας προτείνει τη φετεινή σειρά μαθημάτων σε μορφή σεμιναρίου για τις Tεχνικές της Xαρακτικής. Ο σεμιναριακός κύκλος μαθημάτων απευθύνεται σε όσους ασχολούνται με τις Εικαστικές Τέχνες και ενδιαφέρονται ιδιαίτερα για τη Χαρακτική. Οι συμμετέχοντες θα έχουν την ευκαιρία να διδαχτούν αρχικές προσεγγίσεις στη Χαρακτική & τις τεχνικές της, να γνωρίσουν έργα σύγχρονων ελλήνων και ευρωπαίων καλλιτεχνών, & να δημιουργήσουν δικά τους πρωτότυπα χαρακτικά έργα. Οι προτεινόμενες ημέρες, ημερομηνίες και ωράρια (με τη δυνατότητα διαφορετικής διαμόρφωσης ανάλογα με τις ανάγκες της ομάδας). Oι συμμετέχοντες στα σεμινάρια θα πρέπει να έχουν ετοιμάσει ένα δικό τους σχέδιο με μελάνι ή λεπτό μαρκαδόρο (πάχος μύτης 0,2). Σημειώνουμε οτι κάθε κύκλος μαθημάτων είναι αυτόνομος και ότι οι σπουδαστές, θα πραγματοποιούν ολοκληρωμένα χαρακτικά έργα στη διάρκεια του σεμιναρίου.